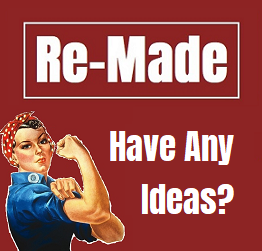 Re-Made is an aggregated media site, dedicated to tracking down the most thought-provoking, uplifting and life-transforming ideas it can find in the world today. I created Re-Made as I wanted to have a central home for all of the great ideas I kept coming across. As that information came from a lot of different places, I needed a place to store it all (or rather keep links to it all). Why? I didn't want to have to rack my brain trying to remember where I read/watched/heard that really helpful article/video/podcast every time I wanted to re-visit anything again. To date, I have collected information on more than 85 different subject areas, ranging from addiction, failure, the shadow self and the hero's journey to intrinsic motivation, perfectionism, ego, gratitude, grit, self-reliance, and flow. I am pretty sure more sections will come. Each section is populated with a variety of articles, book extracts, clips, interviews, documentaries, TED /TEDX talks, podcasts, radio shows, instructionals, animation, healing techniques, workshops and anything that I can find that I think can contribute to the knowledge base in a particular area. The site is now home to 1,800+ of these types of media, hand-picked from 350+ top quality print, film, TV and digital brands, ranging from Scientific American to Seeker. healing arts, ranging from Gabor Maté, Ellen Langer and Mihaly Csikszentmihalyi to Angela Duckworth, Robert Greene, Rick Hanson, Ken Robinson, Dr. John Sarno, Joseph Chilton Pearce, Richard Davidson, Dean Radin, Rupert Sheldrake, Jordan Peterson and James W Pennebaker. Re-Made is not exhaustive. There are plenty of people, articles, books, films etc that I have not added or even come across yet. As it stands, I hope that it is useful to those who come across it, and if nothing else serves as a gateway to concepts, ideas and thinkers; a starting point on a much deeper investigation.